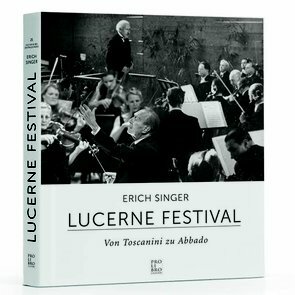 Erich Singer, who was born in 1943 in eastern Switzerland, was initially a conductor and orchestral musician in Basel and a music teacher in Lucerne. From 1980 to 1990 he served as director of concert artists’ agencies and held a position in the LUCERNE FESTIVAL’s artistic and editorial department. From 1992 to 1995 he was head of its artistic office, later serving as head of music editorial (until 2006). Since then he has been a freelance editor. Singer has published many writings on music.